Download this App: Switch - Job Search App - Imagine you could just "swipe right... | Blackworld.com - Connecting the world with Africa. DropBox, SoundCloud, Wikipedia, and more. What can you expect from Switch? any associated companies in your resume. 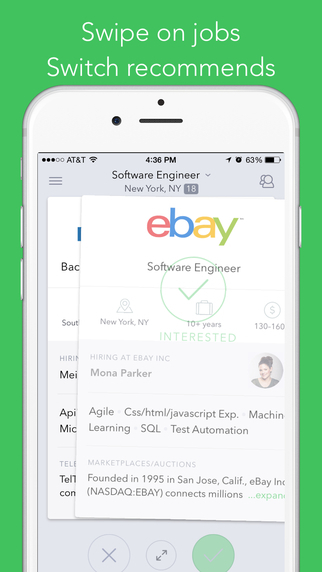 • There are no staffing agencies, recruiters, or headhunters on our app - solely the company employees who are making the hire. • We send you a daily email with job recommendations, based on your previous experience, salary requirements, and location.